one kiss on his cheek.. The results were not exactly what I thought I wanted to hear, but now that I've had several days to let it sink in and reflect on what the report said I'm doing a little better with it. Basically, everything was normal...Owen looked perfect. The report indicated that his death was a "sudden, unexpected event" likely due to a cord accident. It also showed that he had been deceased for less than 24 hours in utero. At first I was kind of upset since I was really really holding onto hope that something would show up on the autopsy indicating that Owen had something genetically wrong which made what happened inevitable. I didn't want to hear that he was perfect because that just leads to all sorts of second guessing. No matter what you know in your head to be true of God and his sovereignty in ALL THINGS, it's hard not to torture yourself with what-ifs.... I'm still working on that. I am finding comfort and some level of acceptance with the results.... I am thankful that the autopsy noted that what happened to Owen was sudden and unexpected. There was nothing I could have done from a human perspective... my midwife said that it even could have been something that happened on the way to the office that afternoon for my ultrasound, it could have been that quick. It's not like he was found tangled in the cord and had been struggling where I might have picked up on it. I am thankful for that. I am thankful that he didn't struggle and that the Lord took him quickly. Besides the autopsy results, the other hurdle I needed to get through this week was my 6 week postpartum appointment. I was dreading going back into the office. I didn't want to see any pregnant women, I didn't want anyone who worked there who hadn't looked at my chart to ask me how things were going if they assumed I was there for a "regular" 6 week check, I didn't want to start crying the minute I walked in there. It was rough. Thankfully in God's providence, it ended up being a good appointment. There was no one in the waiting room when I got there. I barely had time to sit down before the nurse called me back. The nurse is one that I have seen at nearly every appointment over the past 9 months and I do remember seeing her as Derek and I were leaving the office the day Owen passed away, but I wasn't sure if she would remember what happened. She did though and she was super sweet. She asked how I was doing and if we had had a service for Owen. It meant a lot to me that she acknowledged what happened. I know it's easier to make small talk and not broach the subject when it comes to a loss like we have experienced, but it meant so much that she knew and remembered and asked about Owen. I need to keep that in mind! The nurse also let me know that my midwife had big block of time allotted to spend with me so that I could talk to her, which was really nice. It helped when she came in to know that she had time for me. I am reminded again of God's providence in leading me to this office for this pregnancy. My midwife, as I've mentioned before, had lost her third baby as well. There is, unfortunately, a level of compassion, empathy and understanding that only a woman who has lost a baby can have in a situation like this. I am blessed to have felt that deeply as I work through the loss of Owen. God has put women in my path who have walked this road before me and have come alongside me in a way that has encouraged and strengthened me. I was telling my midwife how thankful I was for everyone that we interacted with at Akron General including the midwife who "happened" to be on call that day. She then told me that the midwife, Teresa, had suffered 2 miscarriages this year. 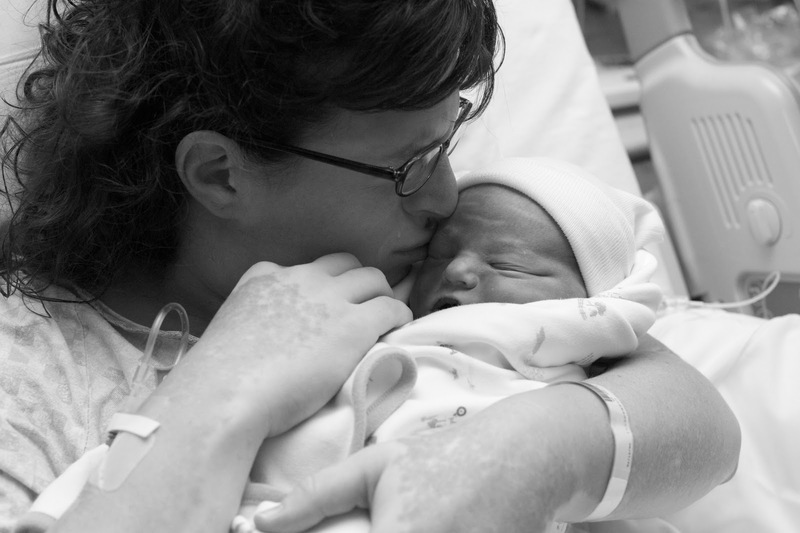 My midwife said that she actually came up to the hospital to relieve Teresa because she wasn't sure if she could handle it given the situation after what she had gone thru, but that Teresa really wanted to stay with me and deliver Owen with us. That is completely amazing to me. I was so touched by the fact that so many of the nurses and Teresa were crying with us as we were living a nightmare and I had no idea how close to home our loss was to them as well. In closing for this post, I wanted to share a poem that a dear friend of Derek's mom sent to me a few weeks ago. Again, in God's providence, she is another mommy who lost her baby. She sent me a book of verses from Amy Carmichael that she found comfort in and I so appreciate her sharing this with me. O voices moaning deep within me, cease." O tears that drown the fire of Manhood cease." Not in endeavor lieth peace. Why meddle in life's riot? Desire, thou dost befool me, thou shalt cease." O futile murmuring, why will ye not cease?" Will to His son explain." Not vain the word, not vain. For in Acceptance lieth peace."